Mister Sparky® was started in 1996 in Atlanta, Georgia. That location is now the leading residential electrical service and repair company in the Eastern U.S. and one of the biggest in North America. The name "Mister Sparky" comes from the common use of the term "sparky" or "sparks," meaning electricians, in company founder Patrick Kennedy's native Ireland. The company has an impeccable record for delivering fast, on-time service, accurate upfront pricing and an overall pleasant experience for customers. 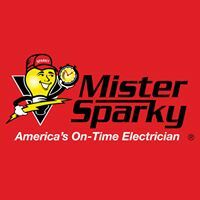 At Mister Sparky we differentiate ourselves from all other electrical contractors and companies by our unique message to the marketplace: Mister Sparky ? "America's On-Time Electrician." Our motto is: We're On Time, You'll See, Or The Repair Is Free. And we mean it. In fact, that extends to our Mister Sparky locations everywhere, including Denver, Colorado and surrounding towns of Aurora, Englewood, Littleton and Lakewood. We are the "On-Time" contractors in the electrical industry and we champion it in the marketplace. With over 86 locations nationwide, the Mister Sparky franchise has managed to uphold its reputation by providing honest, impeccable service that simply gets the job done for our clients.